NASFAT Manchester Mosque On Fire, Attacked By Arsonists. | Welcome to Dare Lasisi's blog! NASFAT Manchester Mosque On Fire, Attacked By Arsonists. 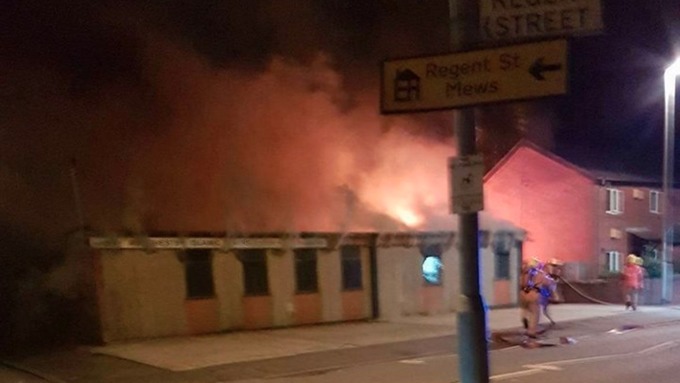 Images taken by witnesses show flames coming from the roof of the building, lighting up the sky and surrounding houses.Photo: Manchester Evening News. 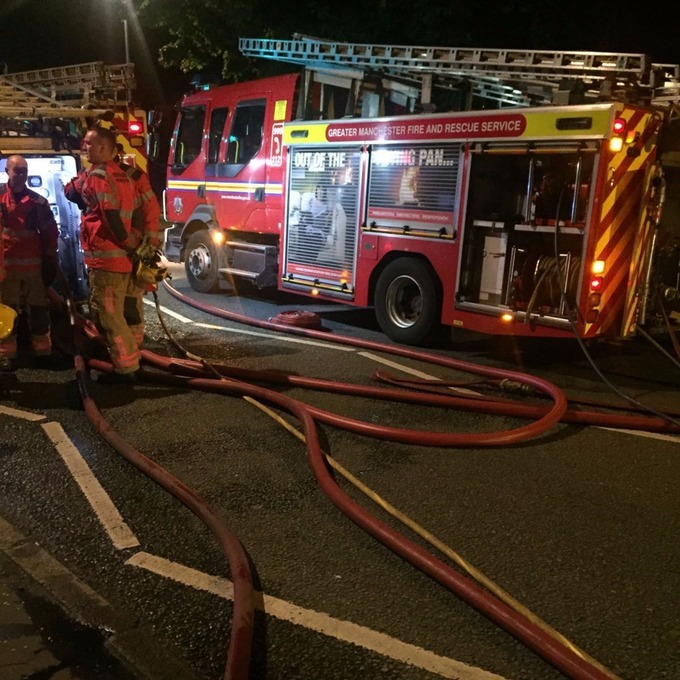 A suspected arson attack at a mosque in Manchester is being investigated by police and the fire brigade. The Manchester Nasfat Islamic Centre on Droylsden Road suffered ‘significant’ damage after a fire late on Sunday night. Emergency services were called at around 11.40pm and around 30 firefighters worked to tackle the blaze. Greater Manchester Police said the offender approached the premises and forced open a window before placing an unknown accelerant inside. Images taken by witnesses show flames coming from the roof of the building, lighting up the sky and surrounding houses. A spokesman for the centre said there was no one inside at the time, and that they received a call in the night to say ‘it was being attacked’. The fire is being treated as suspicious. Credit: Manchester Evening News. “People are understandably shocked that someone has attacked a place of worship. “We are investigating this as a hate crime which has damaged a place of worship used by members of the Nigerian community. “Hate crime is often under reported for a number of reasons, but people should have the confidence in coming forward, as no one should be the subject of hate and intolerance. “We are grateful to have very strong relationships and cooperation with different groups in Greater Manchester, and are working with partner agencies to support the community which has been affected. In 2014, a minibus the centre uses to ferry young and elderly visitors to the mosque, was torched. Monsurat Adebanjo-Aremu, the secretary, says this is the third such major fire incident in a year. She says people have also urinated outside and two pigs’ heads have been thrown into the mosque during worship. Anyone with information should contact police on 0161 856 9770 or the independent charity Crimestoppers, anonymously, on 0800 555 111. Welcome to Dare Lasisi's blog! : NASFAT Manchester Mosque On Fire, Attacked By Arsonists.